Demand for the iPhone X could be below expectations according to a report coming out of the Taiwanese supply chain. With shipping times improving dramatically in recently, the report could be accurate. While we always take reports from Digitimes with a grain of salt, they do have some good contacts in the Taiwanese supply chain where the publication is based. In this instance, it is their upstream component supply chain that are reporting key component supply to Apple’s manufacturing partners like Foxconn for the iPhone X actually tapered off in November and were up to 30 percent lower than initially forecast. 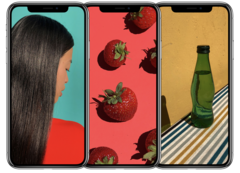 Although overall iPhone shipments for the first quarter of 2018 are expected to exceed those for the same period in 2017, there had been an expectation that the iPhone X would bring a super-cycle upgrade as the first major iPhone redesign in the past three years. However, despite improved yield rates for components that caused initial iPhone X production delays, iPhone X sales could peak in January and February, but decline in March, well before this was originally expected. After its launch in late November, iPhone X shipping times slipped back to a 5-6 week wait from the time of order. Currently, a check of the Apple website in the US and Australia both show that the iPhone X can be ordered and shipped within 3 days. At launch, many pundits had forecast that Apple supply would not meet demand until sometime into Q1 next year. With its controversial notch, questionable Face ID technology and sky-high price, it will be interesting to see how the iPhone X sell through shapes up after its first full quarter on the market.